Welcome to The Katmai Natives Pack! 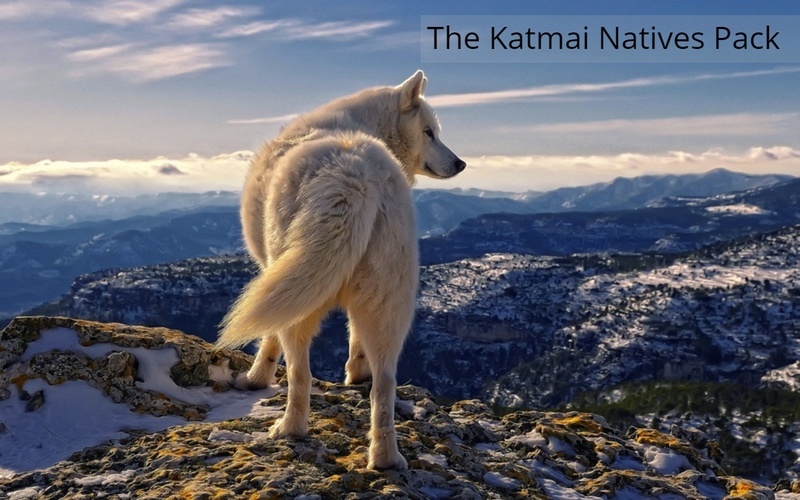 This is a wolf Roleplay based upon Alaska's most treacherous mountains, Katmai. Here at the Katmai Natives Pack, we Roleplay, have contest, and overall just have fun! If you plan on joining, please fill out a joining form located in 'Visitor's Center', and please make an account here. We'd love to see you join! 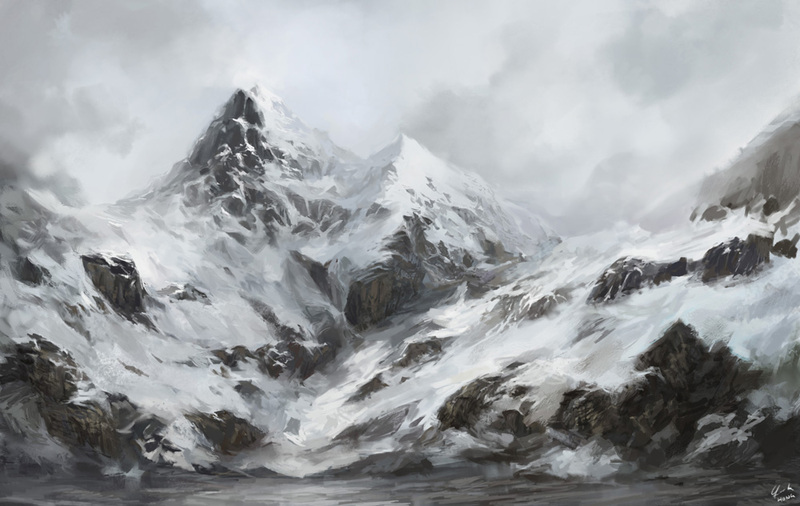 A wolf RolePlay based on Alaska's most dangerous mountain! Approximately 14* with no breeze. The air is still and getting colder. » Things now about me, since everything is changing a lot. Thank you everyone who has stopped by and kept this little site alive. Siren and I owe it to all of you for making this place feel like home. The Crevice of Katmai is the pack's den, and the usual RolePlay area. It's a dip in the mountains, creating a gentle bowl that the pack dwells within. The den is home to all of the members here at The Katmai Natives Pack, and each member has thier own perspective over the common area. Although only the strong survive among the mountains, this is the most adundant place on the peak. All ranks have advantages in this area. There are no ranks forbidden in this area. the aesthetic canine's canary visionaries observed the colossal pack. meandering around cautiously, she silently weaved among the punctured pines. only the her fragrant aroma filtered the refreshening zephyr. she was absolutely silent. she always was. Solace was always so cautious and gentle. as her tawny atheletic appendages stalked the area. her proboscis narrowed among the other scents of canines included in the pack, solace wasnt mischevious. no not at all. she was just mysterious, she didnt speak, only when spoken to, which means she was quite obedient. as the natural breeze flickered throughout the majestic scenery, her "fluffed" sheath bristled. it was pretty chilly, but she didnt want to approach the den to become some nuisance stranger and to attract commotion. so all she could do was move on, her maw departed in hunger She couldnt stop being so hesitant to encounter the occupied pack. The air was cold even though the sun was at its peak, but it wasn't cold enough for snow just yet. Either that or there was not percipitation in the sky. The sounds of snow crunching could be heard as Ghost trotted across the plateau ,her long silver coat bouncing up and down as she trotted along at a steady pace. Her cold breath could be seen as a light fog that exited from her mouth with each exhale she made. There was a very small amount of steam that rose off her bright red warm tongue, it was faint, but it was there. The dried blood that was on her muzzle must have been there for days because it was now a light pink, and her paws were covered in mud signaling she had been wandering for days. -God where can a girl get a rabbit around here-? She thought and continued to trot down a tall hill, her bright blue eyes sparkled in the sunlight,yet one was glazed over which also revealed she was blind in that eye. She didn't mind it of course, but it bothered others and that was the reason she hadn't settled down he or started a family. Tiny gurgles and growls could be heard deep within her belly, she was hungry not having had a meal in days. She growled at her self for missing that stupid rabbit earlier, how does a rabbit look its head up right when you start lifting your paw- she thought and growled once more. Her massive paws left huge divets in the ground as she started stepping in mud. "Eww sick". She grunted seeing a dead stuck rabbit, but held her breathe as she pulled out the half dotted carcass from the snow. "Oh well it'll have to do for now". She mumbled her eye squinted as she took a bite as struggled to swallow it. She didn't mind rotted food by she preferred her prey to be more.....fresh. After a bit Ghost lifted her massive head and looked around with her one good eye"Where is everyone"? She said out loud then kept trotting in the direction she was going. There wasn't a lot of wind today,but when it did blow it blew hard. It nipped at her skin even though she had a fully grown double coat. -Screw you, you stupid wind- she growled thinking out loud once again. Her tail swayed from left to right each time she lifted a hind leg, her chest fur went the opposite way with every movement of her front legs. She tried spitting out the taste of that rabbit from earlier but couldn't even get the rotten flesh hanging from her teeth off. That however was not on her list of top priorities just yet. A few hours went by and she grew tired of walking and started to look for a nice place to lay down. That's when she spotted it, a rock jetting out from a hill, which she could lay under for a bit to rest her weary paws. She ran up excited and slide under the rock and smiles"Man it is cozy under here". She smiled as she curled up and tucked her tail over her laws to warm them up. Soon she fell slowly asleep under her newly found rock.
" Hello, I'm Eis and you are?" she made a mental note to catch one after she was done here. "May I ask what your rank is? "she asked hoping she didn't sound rude. Ihana was finishing up her ample dinner when she heard a voice right outside her small lodging that made her jump out of her skin. She stood up, baring her teeth aggressively. But when she saw the wolf's body wasn't tense, ready for battle, she relaxed. She stepped forward and sniffed her. She smelt of the den site, she must have gone there already. She nodded, stepping out of her den. The she wolf was bigger than her. She groaned inwardly. Everyone was bigger than her! "I'm Ihana, Wache of The Katmai Natives Pack, its nice to meet you Eis, are you a newcomer?" When she had finished speaking, she smelt another wolf nearby, and it had a hint of something rotten. "Wait." She growled. "Do you smell that?" Where was the smell coming from? It smelt very nearby. She jumped over the stream, flicking her bushy tail when she landed. She turned to Eis, jerking her head toward the smell. "Come, lets see what it is!" She whispered. She was always a very adventurous she-wolf, and would explore anything suspicious. She went to the edge of the precipice, looking over the edge. She gaped when she realized it wasn't just cliff for miles down. There was another cliff sort of thing. She then saw the she-wolf. It was sleeping under the rock she was standing on. She climbed down a steep part of the hill, making sure to watch her footing. When she was near enough the she-wolf to tell that she was a loner, and came from no pack. Pity engulfed the small Wache, and she prodded the wolf with a milky white paw. She wasn't sure how long the wolf had been sleeping, but she hoped the wolf hadn't been too long. If she had been, she should have smelt it. "Hey, wake up," She growled softly, trying her hardest to sound commanding. "Come with me." The Doyen senses a new smell, and perks his ears to a bit of clatter and chatter in the near distance. He trots towards a few newcomers, and sniffs the air. Seemed fine. "Well, welcome. I hope you have no intentions of doing anything but good to this pack." He turns and leads them closer to the den. He smelled Ihana nearby too, the Wache, and he trotted to her. "Hello." Eis look at Ihana " Do you want me to carry her back". she wondered why had happened to this to this wolf. she waited for a response. Ihana heard someone walking toward her. She ears angled toward the person before she turned her head to look at the wolf. She smiled at that greeting and nodded to the large leader. "Siren. 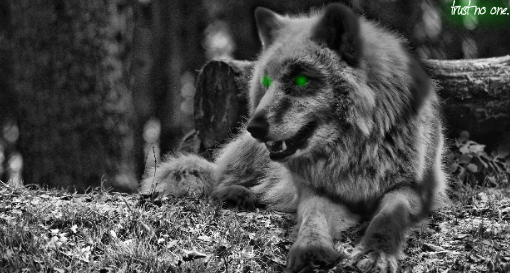 I found a this she-wolf lying here." She said, nodding her head in the direction of the female. When the female woke up, Ihana felt compassion spreading through her, and she nosed to she -wolf gently. "Its okay, I'm not going to hurt you." She said softly. This wolf was obviously no threat to the pack. She turned to Siren, a determined look in her blue eyes. "We need to take this wolf back to the den site. Look," She added quickly as she fell unconscious. "She needs our help!" She stared at the leader, a pleading look in her eyes. She would do nothing without her leaders consent. Chelsea sat at the edge of the forest, watching everyone speak with eachother or introduce themselves to one another. The pack had grown a lot, which was good in her opinion. A small sigh escaped from her, her tail flicking behind her. The female thought for a moment before deciding to go and search for a hare, no one was just going to hand her food. She needed to work for it. "I'll be back, I'm going to go catch a hare or two." she spoke with another sigh to who ever was listening. Standing up, she dragged her self into the forest, ears perked forward as she lowered her head searching for any recent scents. Chelsea grinned as she finally caught the whiff of one. Rustling in the bush also showed there could be two. 'Perfect!' she thought lowering her whole body to the ground - which wasn't much. Her light colored fur made it hard for her to blend in, but that didn't bother her. Her pale blue eyes were wide as she focused on the sight in front of her sitting in a small meadow- a hare. Nibbling on some sort of flower facing the other way. Her heart raced, adrenaline pushing her to go forward, her belly rubbing up against the floor and she took onemore step then... POUNCE! the female landed right on top of the sorry furrball. She sunk her sharp teeth into its neck, killing it. "Aha!" she barked prancing around with the poor thing in her mouth. Placing it down, she ate quickly, although it was a small meal, it satisfied her hunger. The female licked whatever was left on her maw and trotted back, taking a seat at where she was before. Seeing a wolf injured, and intruding in his territory, Siren growls. He looks at Ihana's pleading posture, and perks his ears. "Fine, drag her back to the den." He whips his face around and slowly begins to walk back to the Koti Den, awaiting for Ihana to bring the wolf. Ihana grinned. She turned and looked at the larger she-wolf. She had no clue how this was going to play out, how she was going to carry a large wolf back to camp. But she was determined to do what she had to do, on her own. She grabbed the she-wolf's scruff and dragged her along the ground for awhile. Thinking that would hurt her, she prodded her paw even more gently than before, and murmured into her ear. "Hello! Can you walk? You could lean on my, erm..." She stopped. She wasn't sure she could hold the wolf on her shoulder. "Body?" She stammered. Ghost was weak and everything was blurry,she noticed she was being dragged and couldn't see who was doing it. She growled as a warning then she heard the words"Can you walk? You can lean on my..erm body". She was still unaware what was happening, her glazed right eye looked a the she-wolf next to her and squinted "Wh-wh-where are you"? She asked revealing to this wolf she was blind. She tried stand and fell sideways leaning against the wolf. She closed her eyes once more trying to rest as she was set down. Ghost opened her eyes to see a giant male and growled thinking he was going to hurt her. The growl wasn't a I'm going to kill you growl, everyone could tell by how weak she was of that. It was more a I still have some fight in me if you plan on hurting me growl. Her bright blue eye looked the male in the face and she squinted with her glazed eye"Wh-where am I"? She asked still half asleep. Chelsea was watching everything thatvwas happening from where she was. 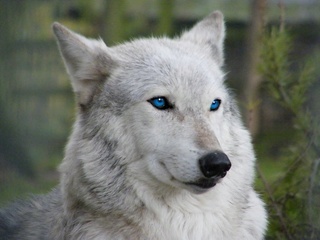 Her pale blue eyes were focused on the fallen wolf, and the little group around her. She immediately turned her head hearing another voice and wolf, one she's never seen before. A low growl escapes from her maw before she can stop it. How can this stranger just intrude onto the territory and jump in like that. The female jumps up and walks over to where they are. Sideswipe Wined softly to the females as his ears pined to his cranium as he watched them continue his head low as he got up and backed away slwoly his tail was also between his legs and the small led remained silent.